For ISC West 2018, Milestone released ... their financials, touting "strong revenue growth in 2017". However, there were discrepancies with the 2016 report and the announcement only had a summary. Inside, based on speaking with Milestone and obtaining the full report, we examine their growth, competitive positioning and the important financial role of support/maintenance contracts. *** *** **** ****,********* ******** ... ***** **********, ******* "****** ******* ****** ** ****". *******, ***** **** discrepancies **** *** **** ****** *** *** ************ **** *** a *******. ******, ***** ** ******** **** ********* *** ********* *** **** report, ** ******* ***** ******, *********** *********** *** *** ********* financial **** ** *******/*********** *********. *****-**** **** ********* ********* **** ******* **** *** ***** *******. ** ******** ** *** ** *** ***** ** * *** million *******, ***** ** *** ********** **** ** ** *** less * *******, ** ****** ***** **** **** ********** *** it ** *** **** **** ** *******, *** ****** ***** have ****** *** ** ** *********. (*) ***** ******** ****** *** **** ***** ** **** **** in ****, ********** ** **** *% ** **** ** ********** 21% ** ****. ********* **** **** *** ***** ***** ** plan ** **** *** ***** *********** ****** ****** *** ************* in ****. ****: ***** *** * *********** ******* *** *** year's ********** ******* *** ********* **** **** *** * ********** error. ** ****, *********'* ************ *** **** '******** *******'. *******, ** 2017, '******* *******' *** ******* *** **** '*** *******' *** shown. ********* ********* **** '******** *******' ******** ***-******** *** ****, their *********** / ******* ******** **** *** ****** ***** (*. *., in **** *** *** **** ** ****, ***.). ** ****, this ********* *** **% ** *********'* ***** ******** *******. *********'* **** *** ******* *** ~$*** *******, ** **** ~$*** million ** ****. ****** ** ***** ** *******, ********* ** ******* ** **-****'* SMB / ***** ********, *******, ********* *** ******'* ***** ************ division. *******, ********* ********* ***** ******** ********, *** ********. 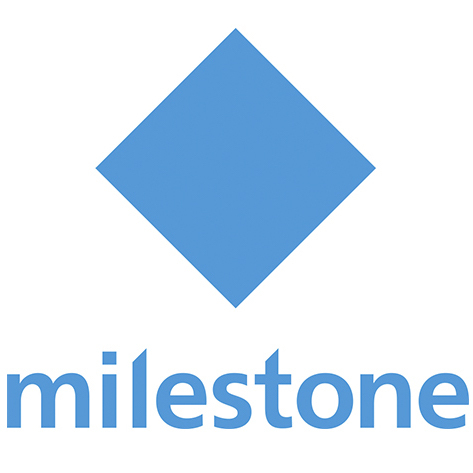 *******, Milestone ** * **** **** ********* ******* **** *** ******* levels ********. *******'* ******** ******* ** $***+ *******, ****** ******* has *********** ****** ******* *** *** ********** ** **** ** that. *************** ******* / ********** *********. '******' *** **** / ************ * ****** ** ********** ** *** ********, **** **** integrators *** ***** ********* **** *** **** ************* *** ** not ****** **** (*. *., ********) ***** ** ** * ***** selling ***** ******* ***** ***********. ** ******** ** ** **** ** *********'* **** *** ******* comes **** ***** '****' *********** /******* *******, ***** ** ~**% of ******* ******* ***** **** **** ****** ***-********. ********, ***** the ******** ** *** ********* *****, ***** *** ****** *** more ******** *** ******** ******* **** **** *** ** **** in * ***** ****. ***** ***** ******* *********** / ******* ********* *** ********* *************, for * ******* **** ********* **** ******* ** ******** ***********, these ******* *** ******* ******** *** ***** ********. ****** **** ***** **********, ****'*********** *** ************ ************** **** ********* ******* ****** *************. ** ****, ********* *** not **** ***** *** **** ************* ********* ***** **** **** competitors. **** ** **** ** ***** ***** ** ******** *********** but ** ***** ******* ******** *** **** *********'* ********** ** continue ** ** ****, **** ** ***** ** *********** ********** and ******** ***********. ** ********, ***** *** ******* ****** **** inward ******* ** *** / **** *** ******* *** ******* more ** ***** *** '*******' *********. ***** ** *** **** ****** * ***** ********** ******** *********, ********* *** ********* ** *********** *** ********** **** *****, which *** ****** ** **** *************. ***** *** ******* *** be *************** **** ** **** *** ** ***-*** ******* ***, so **** ** ***** ****** *********'* *********** *********, ** *** a **** ****** ** ******** ** ** ************* ******. *********'* **** ********** **** **** ** *** ***% ***** ******* ******, *** *******, *** ***** *******. *********, *******, ***** **** ** ** **** *****, ********* is *** **** * ******** ***** ** *** *******. **** % ** *** *** ****** ***** *** ******** ********* has? ****, **** ** *** ***** *** % ** ******** ********* revenue ** ***** ***? ****, **** ********. **'* * **** *** ** ****** ********* on *** ************** ** ****. **** ***********, ** *** **** include *** ******** ******** ** ** *** ***** *** *****? E.g., ************* **** ***** ******** ****** **** *** #*, **** ** *** **** *** ******** ********. *****'* ********* a *** ** *** **** *****. ****, ********* ****** ***** in *****, *** *** ******* ****** ** ***** ************, ** something **** *.**%. ** *** **** ****** ** *** ** ****-*** ******** (*** 50+ ******* *** *****) ** *** ****, * ***** ********* is ******* **% ** **** ******. ** ******, **** ****** out *** ** ***** *** *** *** *****.  ** *** *******, **** ****, * ***'* ***** **** **** to **** ***** '***', *** ** ***** ** ***-****** *******, non-LPR *******, * ***** ***** ** ***** ** ** *** range ** ** - **% ** ***** *******. ********** * ***** ***** ***. *** ****, ************* ***** ******** ******** ****. ******, ** *** old ****, *** ***** ****** ******* ******* ** ******* ** was *********** ******** + ********. ***, **** *** ********* **** for **** **** *** ********, *. *., ** ******** ** ***-**** Milestone ** ************* **** ********* **** * ** ******* ********* NVR. ******* ****** ********* *** **** ***** ********* **** ********* *** a ****** ******* ******** ****, *. *., ******* **** **** ****-********. *** ** *** *****. ***** **** * *** ** ****** meat-and-potato *********** ***** **. ***** *'* ***** ********** '********* ********' in *** ****** ******* ******, *** *** **** **** ** your **** ** *** ********* ********/*********/*********** ******* ** ** *** market ** ******* ** ** ********* ********? ******: **** ******* *** **** ***** ** *** *** **********:*** ********* ********/*********/*********** ******* ** ** *** ****** ** ******* To ** ********* ********?